2. Richard D Bartlett’s architecture for sustaining change (https://medium.com/enspiral-tales/courage-before-hope-a-proposal-to-weave-emotional-and-economic-microsolidarity-87bc81372a09). 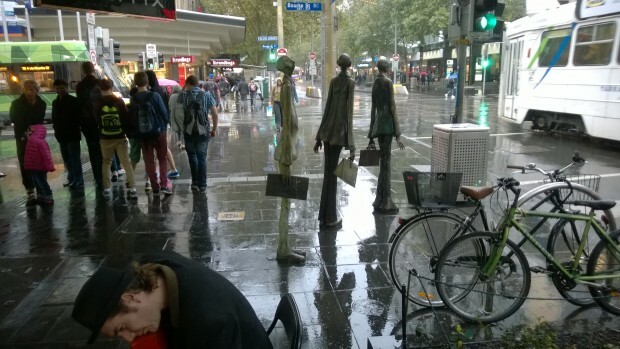 Bartlett came out of the Occupy movement looking for better ways to make change. In ‘Courage before Hope’, he offers a nested set of social structures intended to support reflexivity and meaning making. His starting point is late capitalism as a relational field. He presents his architecture in the interests of mutual learning, and I like that he speaks out of a different sub-culture, concisely and personally, a hard combination to pull off. They like inventing their own language, and write complexity into every sentence, but I read their stuff in small doses, and let it assimilate. The Wettenhall funded “Taking Landcare Planning to the Next Level” is winding up. the workshops with Goulburn Broken Landcare were a stunning success, and the big question is what next. I’ve a report of findings and broad recommendations in draft, and I’m working out what specific new projects might be ventured. 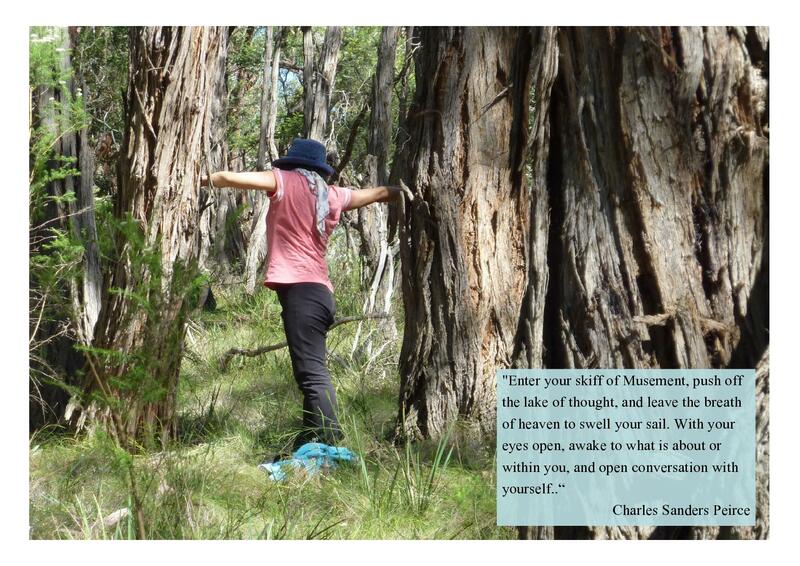 CLEA (Community Learning for Environmental Action) is well underway, with a trial of QWEA completed, and a first round of interviews with exec and staff of Landcare networks, and the beginning of a regular email letter with links to the CLEA blog, and CLEA holdings. I”m getting ready for a curated issue on a theme, and asking how to avoid simply becoming a warehouse. There are several spin-off projects in the queue: taking the Goulburn Broken Landcare material on Questions Without Easy Answers and seeding out the questions and answers through the region; costing what it would take to contract a journalist to interview around a theme in a region, probably the Corangamite region. New preoccupations, as I pull mroe stories out of the interviews I’ve done, is how to get autonomous production of stories at regional level, and how to link inquirers. Moragh Mackay and I took systemic inquiry to the big smoke, with the two current regional inquiries sitting down with people at State/Federal level in Victoria interested in improving NRM governance. A great crew cam together to put on the event – Catherine Allen, Institute for Land, Water and Society, Charles Sturt Univesity, and Ray Ison, Phil Wallis and Seanna Davidson from the Systemic Governance Research Program, Monash University Sustainability. We put out an invitation, and ended up with about 20 of us in the room. How can we measure the social side of NRM? What narrative will legitimate investment in the capacity of land managers? What would be a good process for planning for biodiversity in Victoria? How can the performance of NRM organisations be assessed? How can the language of goals, targets and outcomes used in NRM be improved? How can we interact with the NRM funding environment in ways that minimise competition and enhance co-operation? 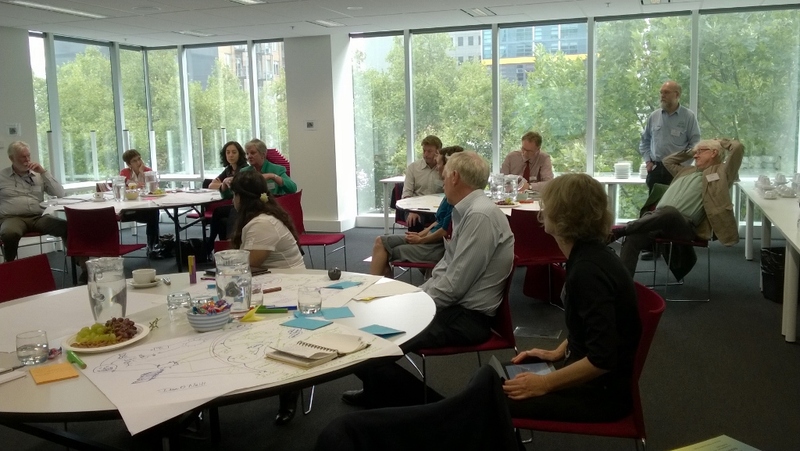 How can we do NRM planning in ways that are fit-for-purpose in a climate-changing world? Talk about questions without easy answers! For those who came, the ball’s in their court now. We’re inviting people to be self-organising – if they want to keep talking about these things, get it organised, and we’ll show up. Or hire us to organised it. Meanwhile, on the ground, Riddells Creek Landcare’s multichannel communication strategy is bedded in, with a monthly posting to the local rag, Riddell Roundup, to the RCL blog, and hard copy hand out of the same story on the desk at the Riddells Creek farmers market every two months. That’s a lot of writing and webby cross-weaving! I’m very happy most of the time. Occassionally I think maybe I’ve wandered right off the map. Finding others with similar interests remains a major focus for me. Working out the first experiments for CLEA, a network supporting peer learning and mentoring for community environmental action, I have decided that I can’t do it on my own. Not news to anyone else, but when you’re engaged as a consultant, and have already generated lots of ideas for a project, it’s easy to get carried away assuming that you have to do it on your own – while knowing that you can’t and dreading the grind of doing it on your own! This project will create a platform for talk between Landcare volunteers and staff about organising, collaborating and influencing. 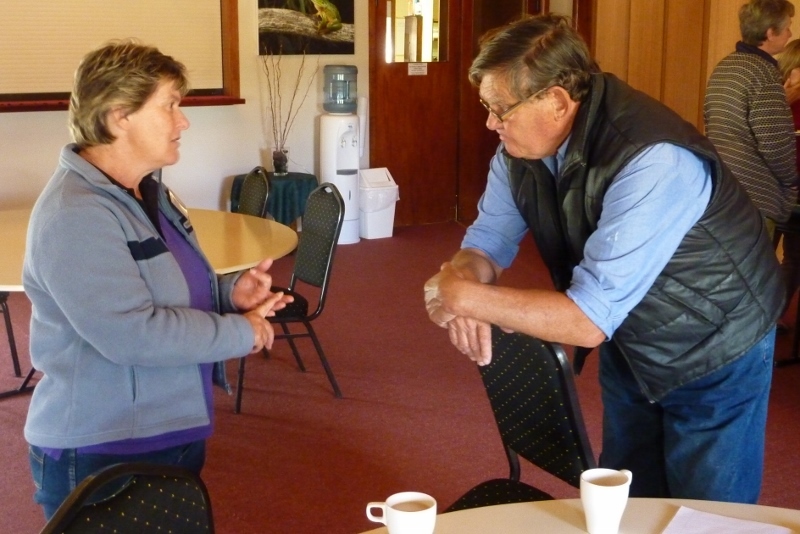 It’s a place to talk about the social side of Landcare, and it’s on the social side of organising local action and forming alliances between players in the NRM space that Landcare excels. The Victorian Landcare Council, which is sponsoring CLEA, wants to add to that mix greater facility in influencing decision makers, specifically politicians and the urban electorate, where Landcare can no longer assume support. How to do support such a network? Not by rushing around collecting stories and pumping them out, but by giving those who already speak out in the Landcare community simple tools and a platform for doing so, from many points in the landscape. And alongside the tools for telling your story and expressing your opinion, the tools for building an audience. A gentle nurturing of the community of practice, between the over-committed. It’s all in the conversations – though I can’t say that now without a wince, after Rob Sitch’s “Utopia”. So I’ve put out a call for help with developing my own digital toolkit, taking myself as a somewhat represesentative sample of such Landcare persons. I need, for example, to ramp up my own mail lists – I’ve been much influenced by Brett de Hoedt’s post on the power of email. In the Natural Resource Mangement (NRM) sector, there’s a patchy, inadequate mish-mash of systems to monitor outcomes, an obsessive interest in counting activities and expenditure, and precious little time spent extracting learning from the experience of implementing actions from the plan, of which figures describe just one slice. It seems to me that to improve how we learn from action, and through that, improve how we design new action, we ought to open up inquiry (period) and in particular, into strengths and weaknesses in the ways we do (or don’t) currently learn from action. The would provide a grounded start to ( to use Etienne Wenger’s felicitous phrase) design for learning. For a draft design for conducting such a review activity, see The next step in adaptive management in NRM. For a recent note on the place of review in planning in Landcare groups, go here. This week, I applied for the position of community manager for The School of Life. They want someone to build their online and offline communities, and I’m just the person for the job. That at least was the topic for the 200 word email they asked for, which I worked on Saturday, on and off, then the CV on Sunday, reshaping the email a dozen times as I went. In the end, off it went. By Tuesday, I had itchy fingers; 200 words allows only so much. I had suggested to The School of Life that the best way to grow their business was to talk to those who are coming through TSOL courses, listen to them, and build support for the next steps those people were taking. I speculated that they’d probably want more time to talk in something like the space of intimate but public inquiry provided in their courses. What might be possible in the online environment? We’re all over free-for-all forums where idiots rule. We want time with sensible, thoughtful people, but we need a way to check out what others are like, and to venture what’s true for us, without immediately having to converse. And even when I know someone, it’s tedious having discussion as our only option. Why don’t each of us say something, in a condensed way, then shut up. Why not assemble points of view and experience from like-minded people, to get a sense of how we’re handling challenges common to all of us. So the series. Post a postcard from your life, on a theme. Set a word limit, encourage visual, video, audio, but again, with limits. Invite past course participants to contribute. I was in town for a meeting, then went to lunch for a debrief with our team, and after that, across the road to visit a friend in St Vincent’s Hospital, so by the time the #96 tram came up to Swanston St, I figured I was cutting it too fine for the 3.15 train, and decided not to rush. I got off the tram. I’d heard about the poetry bookshop in the Nicholson Building from the poet Peter Bakowski, but never been there, and as I’d paid my dues to mammom in a long meeting, I figured an hour off was in order. It had started raining at some point in the morning. For a spacious minute I stood beside the busker, his attention on the music. inside, take down a romance from the shelf. Now imagine if 10 other people, or 20, responded to the same question. We would get a wider perspective, and more depth to our understanding of the challenge of taking our time. Now imagine a series radiating out from each of TSOL’s courses, or series on matters cutting across different courses. We would start to build a picture of life as it’s being lived now, to put alongside what those philopsphers are saying about how to live. Close to the Heart: Stories of Everyday Transformation is the working title of a project being designed by my colleague Moragh Mackay and friends. “Close to the Heart” is my gloss this morning, as I absorb the Riddells fire and our Sunday discussion in the coastal scrub south-west of Wonthaggi. The project’s interest is moments on the trajectory of change: moments where you realise you’re bound by assumptions that restrict you, that you might be able to step beyond; moments where you relax into the chaos and happy accident of events; the moments where you feel the call of what is waiting to emerge and step into it, unprepared. We each find ourselves at our own points on the roller-coaster of change. In working on our design, I’m considering how digital tools can allow for me and you and us. I’m used to facilitating face-to-face interaction: what evokes and supports these three positions in digital space? We’re imagining cycles of story-telling and reflection on stories, weaving digital interaction with face-to-face workshopping to carve themes out of the stories gathered, feeding this back into the stir of stories. I’ve had the astounding (to me at least) observation that a yammer conversation can hold the documentation that provides the living material for reflection and then for the making of artefacts around the themes: film, stills, text and audio that draw together threads and feed this back into the story-telling. Of course, in the first instance, yammer is a way to building shared understandings and move work along – what I’ve only just seen is how yammer conveniently holds documentation of the inquiry. Another ‘of course’: the value of the documentation depends entirely on the quality of the conversation – its honesty, poetics and precision. I was talking with Robert this morning, the Frenchman who lives a km up Gap road, across from the Bests. He stayed through the fire, with a friend up to help who works in the conservation side of old DSE. They didn’t waste time doing anything more on Robert’s castle, which is impossible to defend, but went up the top of Gap Road to read what was happening with the fires. Then Robert went down to have a closer look in town. I’d been in East Melbourne, having found out about the fire as Alice and I left a wonderful discussion Moragh and friends near Wonthaggi on Sunday. The cool change has turned the South Gisborne fire around and was heading north and east. We found that the French couple from HelpX who’ve been with us for 10 days were out, in Sunbury, with the fire changed direction. The road had been closed, so they were out of danger. Robert and I discussed how we’d followed things on radio and TV. We agreed that the coverage was a much better effort, but still completely inadequte. There wasn’t specific information. “The fire has jumped the road south of Riddellls Creek!” says Channel Whatever. 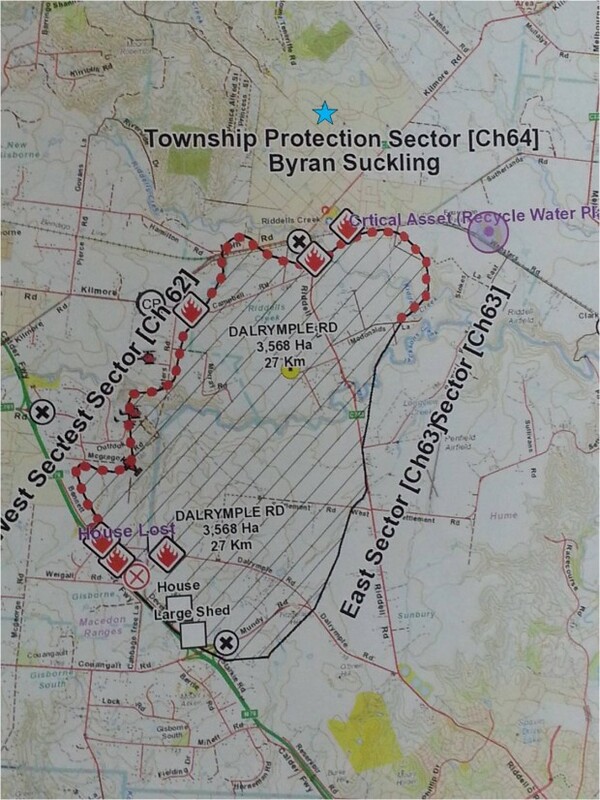 The CFA site has a fire symbol at the junction of Campbell and the Riddells-Sunbury road. Excuse me, but which road? The loose use of the Riddells events for a news drama is not enough. A symbol on a map is not fine-grained enough. Give me the polygon. I wonder if we couldn’t do better for ourselves with a citizens’ Facebook page, for Riddells and surrounds, posting what we see going on. I’ve been impressed by the ability for my Nokia smart phone to send video, stills and text direct to my facebook page, and I wonder how you’d create a netwwork of resident pages, with a shared wall. A question for the smart people at Facebook. Robert also said he wanted a map on which those occurrences were plotted, as they are on the Emergency Services website. Could we use google maps, as we have in landcare to locate occurrences of cape weed? In conjunction with a facebook site, that could hold observations about fire activity closer to real time, for those of us who live in and around Riddells? A question for the google mapping community. (Around about here in today’s writing, I register the the hyper-alterness that follows a near-brush with a big fire). There’s a near-term opportunity to get talking between Riddells people and experts about reducing the fuel on Barrm Birrm. How can this be done? When Robert talked about cutting and using as firewood the dead tress fringing Barrm Birrm, I felt a Green Army project coming on, heaven forbid! And, as a chopper runs nearby, there’s the question of how to get the Firesticks Project down here. Hopefully, the fire will stay where it is, across in the gullies east of Rowsey and Lancefield, and not bother us here, and we’ll be able to go back to our normal lives. In the short-term, I put a call out to the RCL Committee, and Bill Hall, who lives down of the flat, sent through this map of the fire, which he got from the Incident Controller in Gisborne. Now this is starting to help me understand what was happening, this and Robert’s observation from the top of Gap Road that the 2km front turned into 3 fires with a total 22 kms of front when the SWesterly came in. Around 4:00 the wind shifts around further until it’s coming from slightly S of E, blowing the front directly towards RC. There are approximately 108 appliances + 5 bombers fighting the fire. And I am in East Melbourne being told by Channel Whatever that fire threatens Riddells Creek.